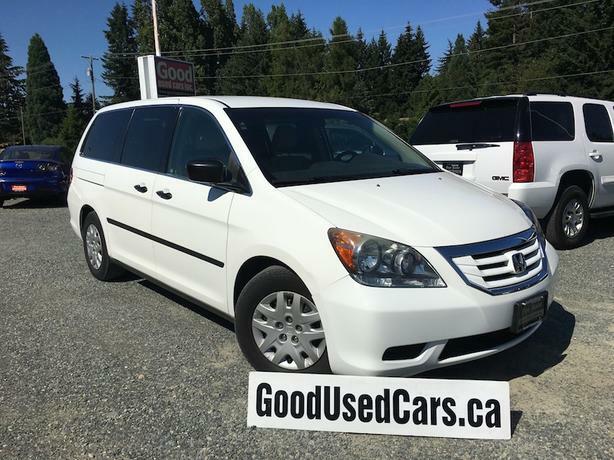 As one of the highest rated mini-vans of all time, don't miss out on this clean Honda Odyssey. Room for the whole family with comfortable seating for 7. Even has the captains chairs in the second row, you know, to keep kids separated a bit. Great ride on both city and highway drives, and we all know that Hondas retain their value over time in comparison to some of their competitors due to better build quality. Timing belt replaced at 104,473 Miles (168,000 KM) on August 25, 2015. Plus, it looks great in white! It is detailed, safety inspected and comes with a vehicle history report. $195 documentation fee and applicable taxes extra.